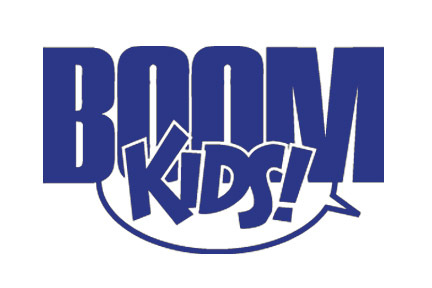 Year in Review: Disney Comics go BOOM! It’s the All-Ages Edition! Gather the kids! It’ll be fun! Here’s some brand new stuff that comes out this week that I think is worth a look-see for someone with little to no history with comics. That means you should be able to pick any of these up cold without having read anything else. So take a look and see if something doesn’t grab your fancy. If so, follow the publisher links or Amazon.com links to buy yourself a copy. Or, head to your local friendly comic book shop. This hilarious trade collects the first four issues of THE MUPPET SHOW, written and drawn by the incomparable Roger Langridge! Packed full of madcap skits and gags, The Muppet Show is certain to please old and new fans alike! If you have a favorite Muppet, chances are it’s featured in this show-stopping collection! I’ve recommend a single issue here and there of this series. Now here’s the entire first mini-series all in one place for a great price. Maybe people who didn’t grow up on this show won’t or don’t care. But I’d like to think anyone who can handle singing, dancing and joking bears, chickens and whatevers would get a kick out of this. This action-packed trade collects all four issues of TOY STORY: THE MYSTERIOUS STRANGER. Woody, Buzz and the gang encounter a mysterious egg-shaped toy… They crash Andy’s science fair in a heroic attempt to repair his broken exhibit… The toys must make peace with the family’s new dog, Buster… And finally, Mr. Potato Head decides that he’s tired of just being an inanimate toy. He’s going to reveal his walking-and-talking nature to Andy! Can Woody stop him before it’s too late? Again, I think everyone has imagined their toys coming to life when they weren’t around, so my gut tells me this is accessible enough to most even if you haven’t seen the Pixar movies. Good fun for the whole family! Yeah, that’s it. Not all that much coming out this week.